Queluz is a beautiful national palace that served as the official royal residence during the 18th century while the mad queen Dom Maria I was hid away from public view. 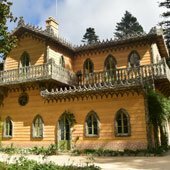 This fascinating palace is located partway between Lisbon and Sintra, which means it is often overlooked by tourists, but for those who visit will be rewarded with an exquisite Baroque palace that has an intriguing history. 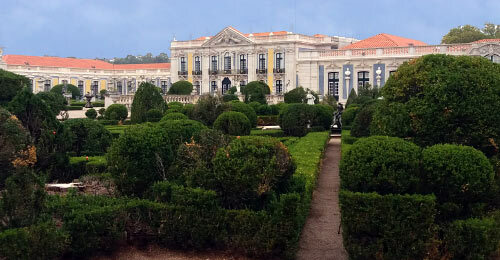 Why is the Queluz Palace historically important? 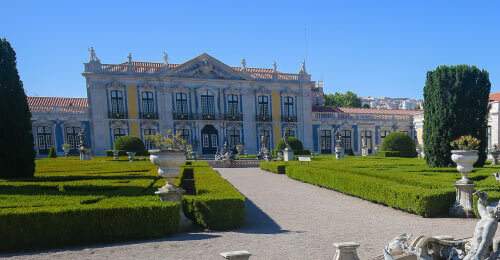 Queluz Palace was the royal residence for Queen D. Maria I and her husband Dom Pedro III (prince regent), who actually started construction of the palace in 1747. 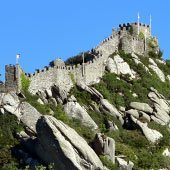 Dom Pedro was the uncle of Queen Maria and there was a 17 year age gap, but despite this they had a happy marriage. 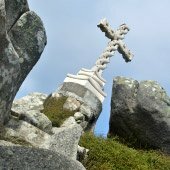 The queen started to exhibit her madness the year that dom Pedro died in 1786 and this worsened with the death of her eldest son from small pox, in 1788. She was later confined to “Maria's Pavilion” and kept away from public view, but her insane screams would echo through the palace. The last torment for Maria was that the rooms which formed “Maria's Pavilion” where the state rooms of her beloved, eldest son, José. 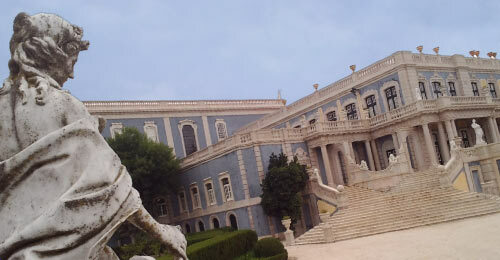 The sober façade of the palace hides the majesty and opulence of the interior of Queluz. The palace combines Baroque, the Rococo and the Neoclassical architectural designs while the gardens are inspired by French styles. One of the first rooms visited is the impressive Throne Room, where the royalty used to receive their guests. The whole room is decorated with gold carvings, mirrors and paintings and it is not difficult to be transported back to a time when the ladies in their fantastic dresses with panniers and the gentlemen with their white and grey wigs would dance around in gallant balls. Other interesting rooms include the Princess’s Apartments, the Chapel or the Ambassadors Room and the Music Hall, which reflect the royal family’s enthusiasm for music. 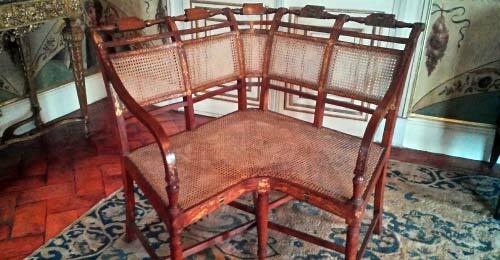 Look for the wide chairs that the ladies used to sit while wearing unbelievable wide side-hoops underneath their dresses. 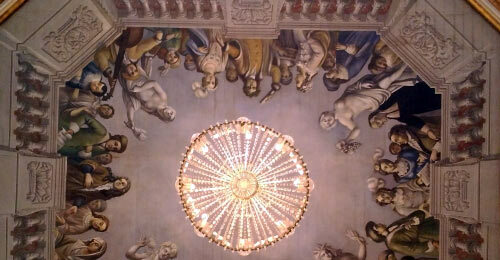 One of the most unique art works is the ceiling of the Ambassadors Room, which depicts the royal family attending a Music Session. This wonderful art work is copy of the original one, as in 1934 (when the palace was under restoration work) there was a huge fire which destroyed one of the palace's wings, including the Ambassadors Room. Most of the paintings were replaced by copies, because the original ones were destroyed. If the visitor looks carefully to the ceiling painting in the Ambassadors Room, there is an interesting detail: one of the characters (the one dressed in black) attending the music session is actually wearing a pair of mid-twentieth-century glasses. Why did the painter add that detail in the copy? We don't know. After the tour inside the palace, the visitors can explore the garden, where one can wander among the lakes, fountains and lead statues depicting mythological scenes. Among the highlights, one should not miss the surprising Canal dos Azulejos (Tiled Ceramic Canal), completely decorated with typical eighteenth century scenes, where the royal family used to ride a small boat enjoying themselves in sunny afternoons. Also in the garden is a small carriage that the children would ride around the garden. Back then, during the nights of great receptions and festivities, the garden would be completely filled with decorative structures, cages with exotic animals and the guests would be amused by fireworks. 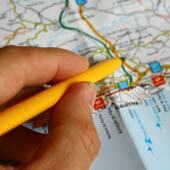 How to get travel to the Queluz Palace? 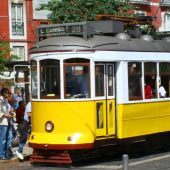 Queluz Palace is located 16 km from both the centre of Lisbon and Sintra.If you are coming from Lisbon by train, take the train towards Sintra and exit in the Queluz-Belas train station. 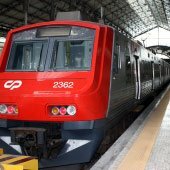 If you are coming from Sintra, get off at the Monte Abraão train station. From both stations you need to walk about 1 km on foot. 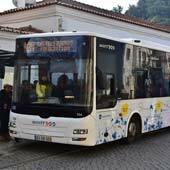 If you are driving, either from Lisbon or from Sintra, take the IC19 route, exit at ‘Queluz – Palácio’ and keep on following the signs ‘Palácio Nacional de Queluz’. 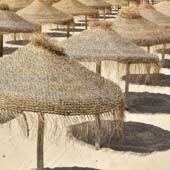 For a full guide for travel to the palace, please click here. 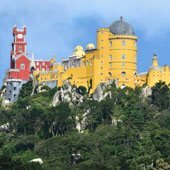 The Palace of Queluz is one of the best palaces around Sintra for disabled people, since the tour inside is only made in the ground floor. 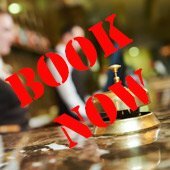 There are also wheelchairs available, but they have to be reserved in advance. 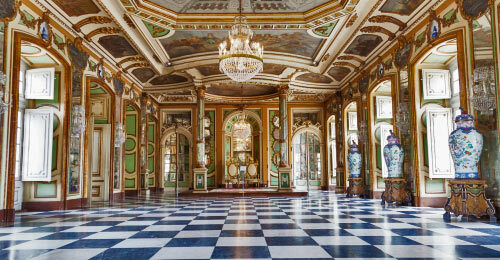 Is there any specific cultural program in the Queluz Palace?